We had busy day on Thursday with the Coffee Morning in the morning and General Meeting in the afternoon. There were very impressive displays by Special Interest groups which, I am sure, were appreciated by the many members and visitors who attended. Barbara Lewis, U3A National Chairman and our afternoon speaker, arrived unexpectedly early to be at the coffee morning. She was most impressed by the range and quality of the groups. One measure of the success of the event is that nine new members joined on Thursday ; two are interested in forming new groups- Beginners French ; Modern Greek. Our Groups Coordinator Gail Allaby will be providing further details in due course. The meeting in the afternoon was also well attended with 124 present; 111 members and 13 visitors. 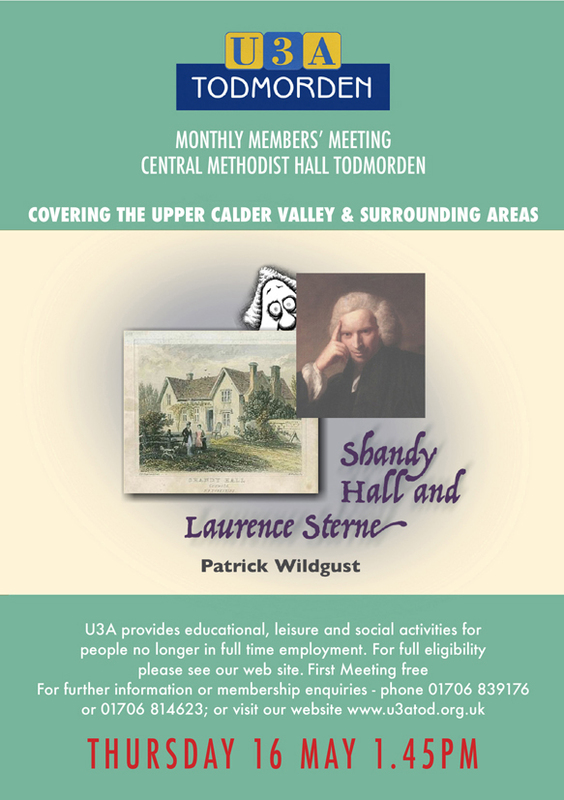 The visitors included 3 representative of the steering group who are starting a new U3A in Littleborough. Stephen Parkinson & Violet Parkinson ; Sheila Graham .